Executive to Executive is a series of affordable presentations featuring prominent leaders who are making a difference in the social sector. 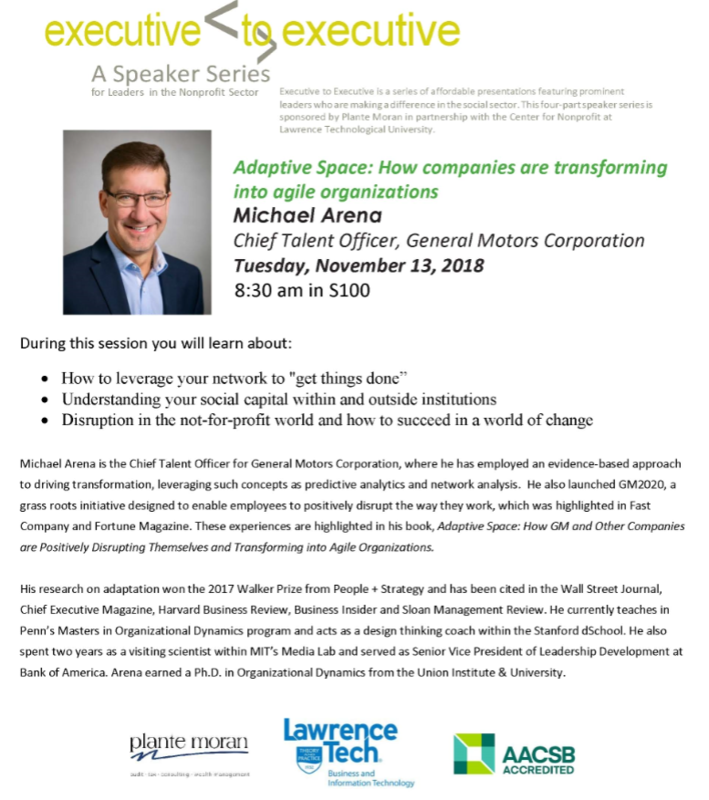 This four-part speaker series is sponsored by Plante Moran in partnership with the Center for Nonprofit at Lawrence Technological University. Science Building, Lawrence Technological University. Presentations are held from 8:30–10 a.m. Registration begins and coffee is served at 8 a.m.
Executive Director, Give Merit, Inc.
Online registration can be found here! This page describes the Executive to Executive Series hosted by Lawrence Technological University.